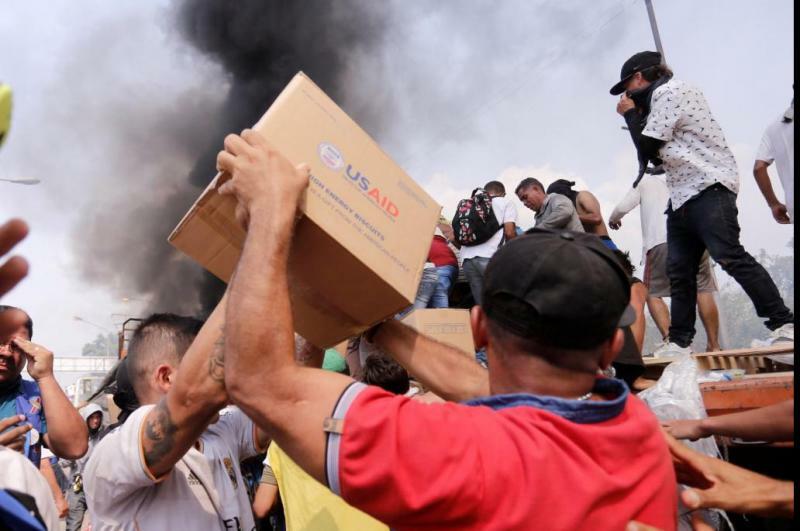 March 7 (UPI) — U.S. humanitarian aid for Venezuelans arrived in Cucuta, Colombia, the latest batch of supplies stockpiled at Venezuela’s border amid a blockade led by the country’s President Nicolas Maduro. A military cargo C-130 landed in Cucuta on Thursday loaded with medical gloves, medical bathrobes, masks and cleaning goods. The U.S. shipment left Florida and arrived to Cucuta in the afternoon, National Assembly member Jose Manuel Olivares told El Nacional newspaper. Hundreds of tons of aid had accumulated in areas along Venezuela’s borders with Colombia and Brazil ahead of Feb. 23, when Venezuelan National Assembly leader Juan Guaido planned to introduce aid into Venezuela despite opposition from Maduro. That day, the little humanitarian aid that made it into Venezuela was burned while four people died in acts of violence that weekend. Maduro has said the aid is a pretext for an international invasion of his country. He restricted travel across the borders since then. Maduro considers the shunning of humanitarian aid to be a military victory. Earlier this week, he honored military officials in charge of border security. Venezuela declared the German ambassador to Venezuela, Daniel Kriener, persona non grata “due to his reiterative interference in our domestic issues in open violation of the standards ruling diplomatic relations,” Venezuela’s foreign ministry said Wednesday. Germany said it has recalled its ambassador for consultations.